Fossilized jasper is used occasionally by Zuni fetish carvers. In Zuni fetish carvings, one sees fossilized jasper primarily used as a stand-alone material representing the animal or figure's body. 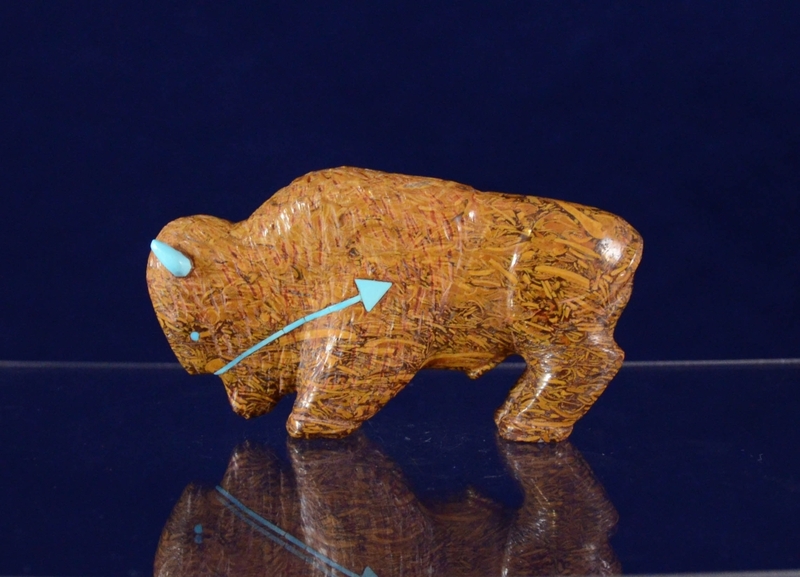 Andres Quandelacy of Zuni Pueblo has used fossilized jasper for a bison carving at least once, as seen at left.